We supply a wide range of cheap, branded uniforms delivered Australia wide for an affordable price, imprinted with your custom school emblem or logo. The educational landscape in this country involves partaking in a myriad of activities, be it learning a variety of subjects, playing sports, or learning vital technological skills. 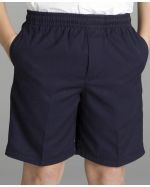 We understand that a good school uniform must be able to undergo the everyday hustle of active kids and therefore, using the highest-quality materials and modern manufacturing techniques, we have designed a range of durable, fashionable apparel that’s able to last for years on end. Whether it’s for primary education, high school, college, or even university, we emblazon your institution’s crest onto this line of hard-wearing uniforms, leaving a lasting impression on parents, teachers, and anyone who sees your students outside of school. 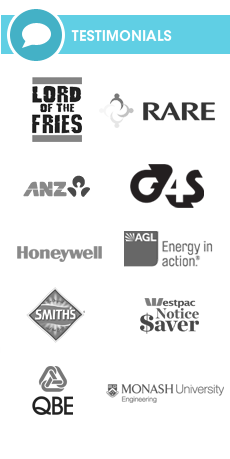 We stock and manufacture our personalised uniforms locally and brand them with your custom emblem here in Australia, so you can expect professional service, a rapid turnaround time and quick delivery to all states and territories. Give our friendly staff a call today, who are always glad to help you find an unbeatable deal on our fantastic custom-branded range of school wear, and have them promptly delivered to your location wherever you are in Australia. We make sure that your school’s custom logo or crest genuinely stands out on your students, whether it be in the classroom, outside on the playing field, or away from school. We emblazon your personal emblem onto these stylish, top-quality uniforms using the latest printing techniques and technologies onto the apparel of your choice, with premium inks and modern procedures to ensure that your crest really glows. Select from our range of branding options, including printing in single or multiple colours, or embroidering, both of which can be done on the front or back of the garment. Whichever of our personalised uniforms you select, whether it be shirts, blouses, shorts or pants, you know that you’re receiving affordable yet high-quality customised apparel that’s certain to emphasise your school’s motto and spread your institution’s reputation amongst the wider community. The team at Promotional Items remain the experts in Australia when it comes to printing your custom logo onto this amazing range of personalised uniforms, and as always, we guarantee the quality of our work so you can be confident to receive superior quality, well-branded clothing whenever you order from us. How Can Customised Uniforms Help You? One of the most overlooked motivations for attaining success as a school student is the effect of school identity and pride, which is becoming more and more underrated. Although students may not always show it, the emblem on their uniforms represent belonging and fitting into the school environment, which is a determining factor when becoming accustomed to the general learning atmosphere. Research has shown that a quality school uniform can improve learning, stimulate proper study, and make the classroom a more serious and meaningful environment, by removing distractions, and increase school pride by a significant margin. Additionally, a customised uniform also decreases the problem of peer pressure and bullying at school, which can place a great deal of psychological anxiety and burden on students and their parents. With the clean lines, polished appearance and comfortable nature of these well-tailored, custom-printed clothing items, you know that you’re getting high-quality apparel for your students at competitive rates. What Is Custom-Branded School Wear Made From? 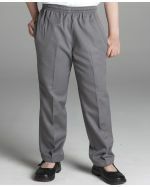 Shirts and blouses are manufactured using a polyester-cotton blend (65% polyester, 35% cotton), while shorts and pants are woven with 65% polyester and 35% viscose gabardine, combining the advantages of both materials into a single clothing item. 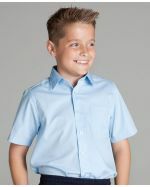 As well as allowing our branded school uniforms to be durable and long-lasting in all kinds of weather, these specially-chosen fabrics make this apparel inexpensive to produce, so you know you will be purchasing an affordable product that will impress parents and teachers no matter what, and help your school gain a reputation for class and quality.